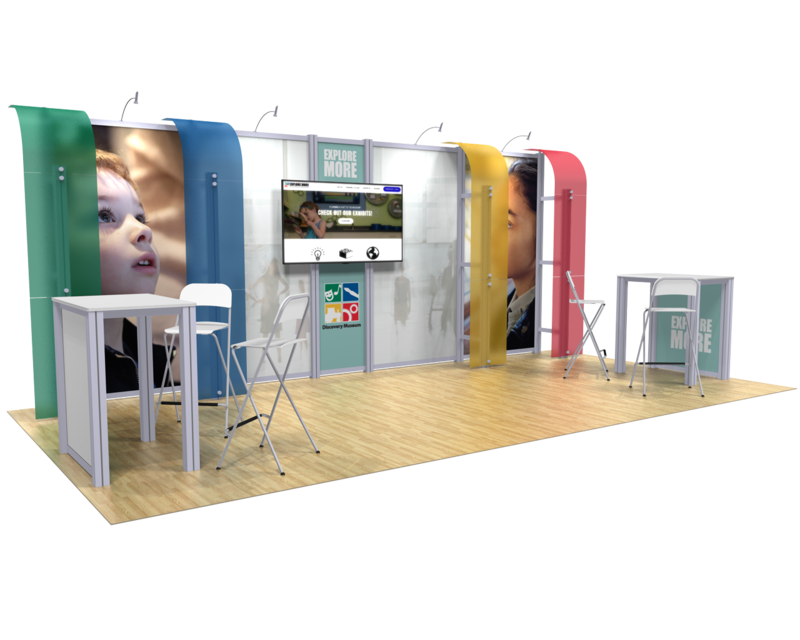 Big impact back wall with clean messaging. 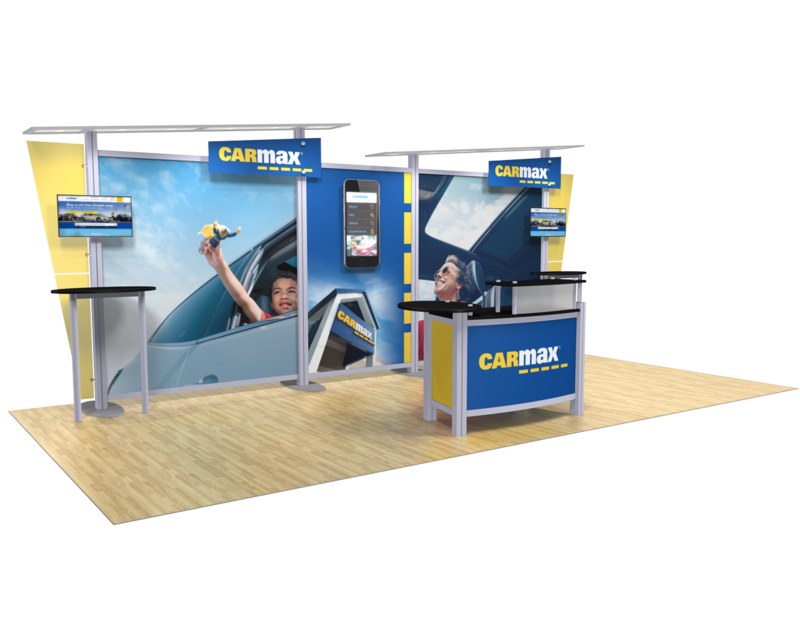 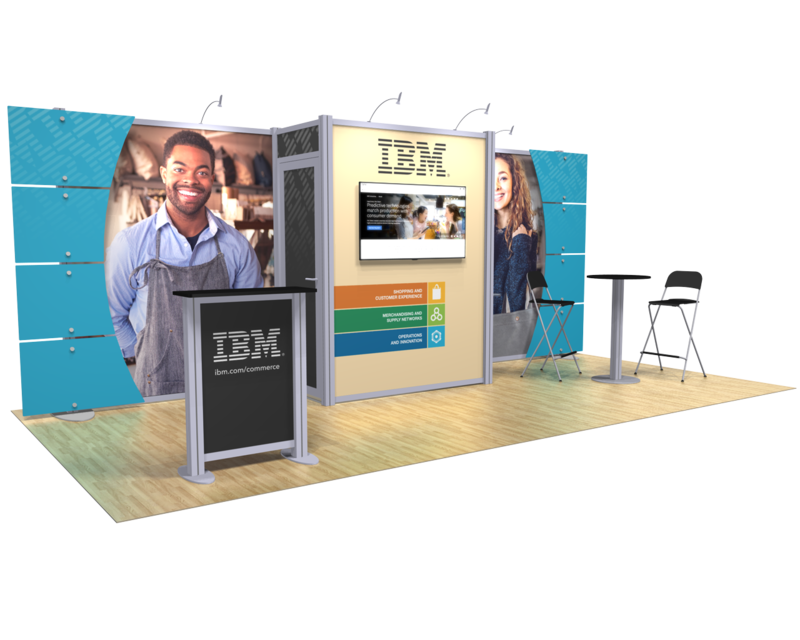 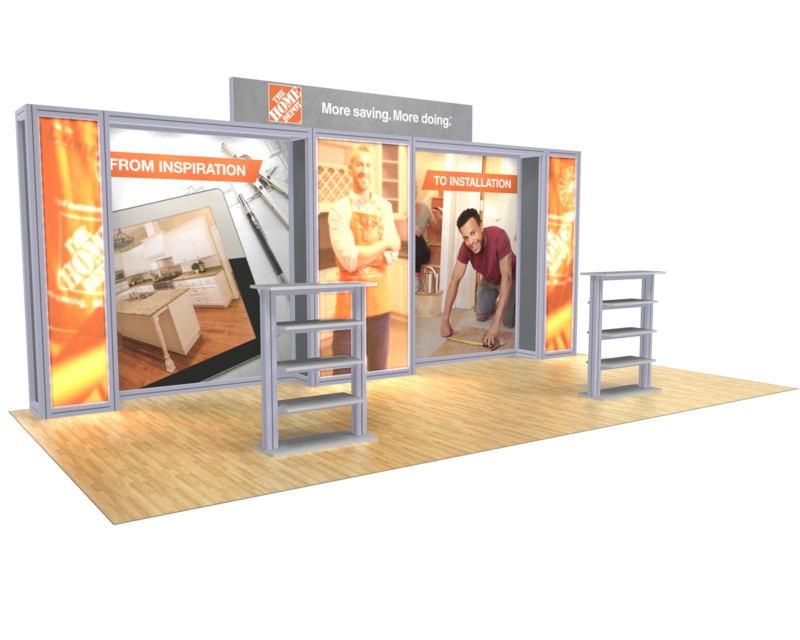 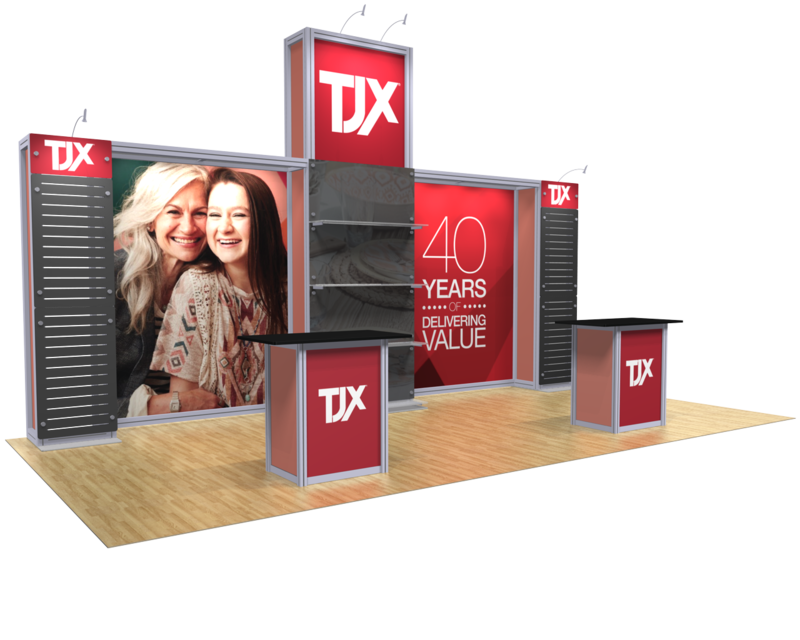 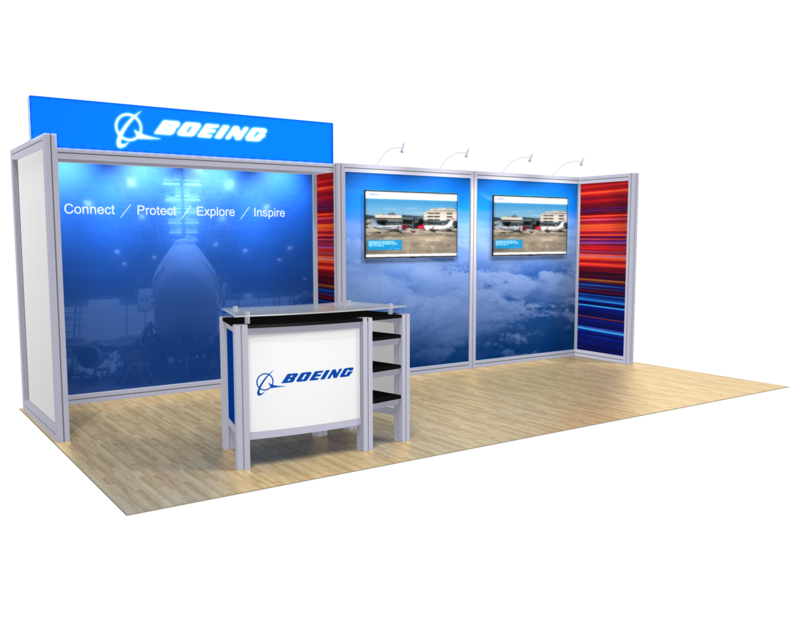 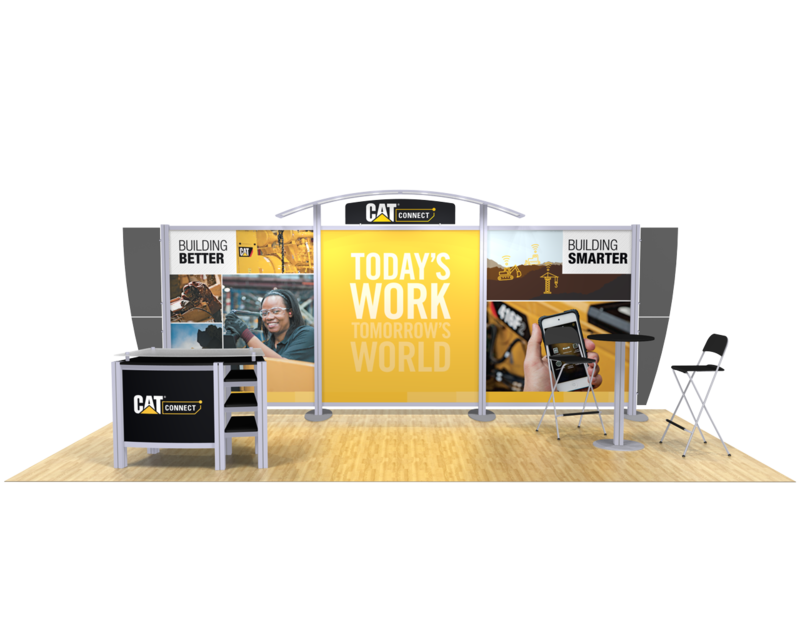 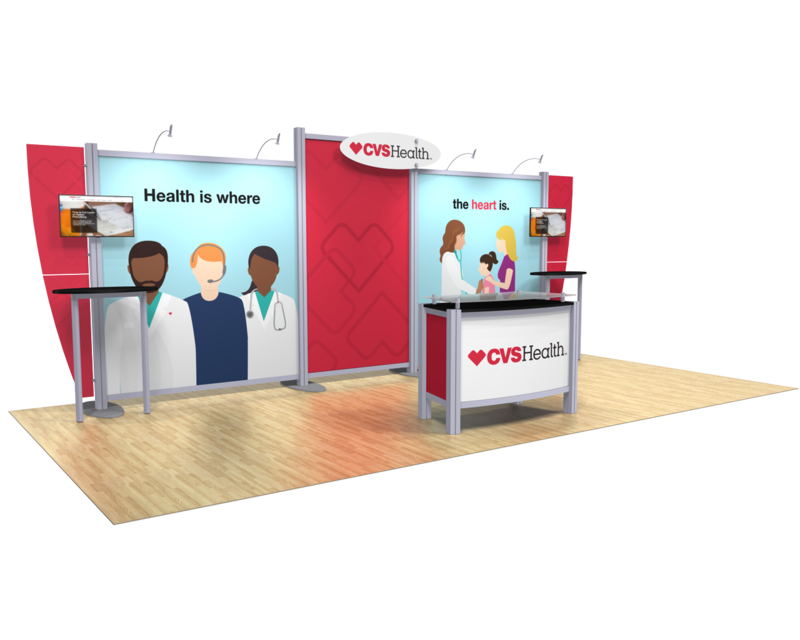 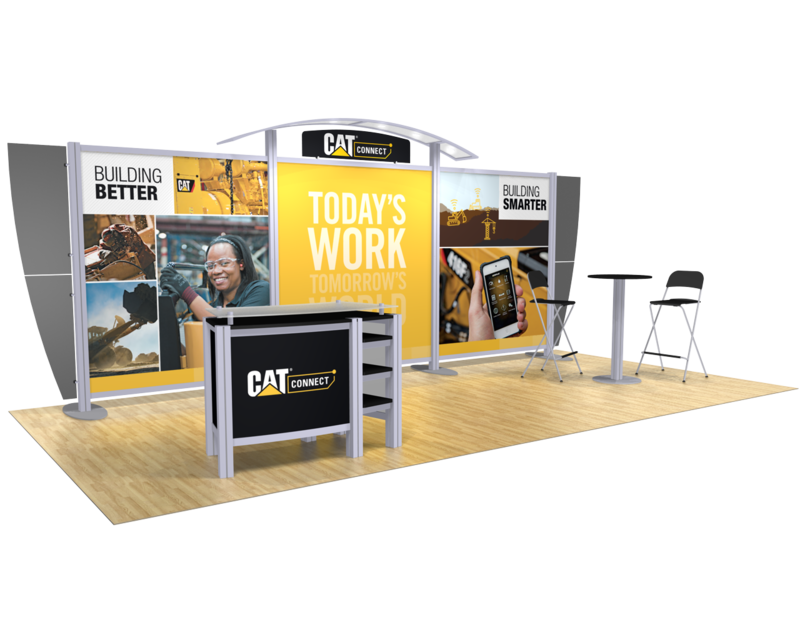 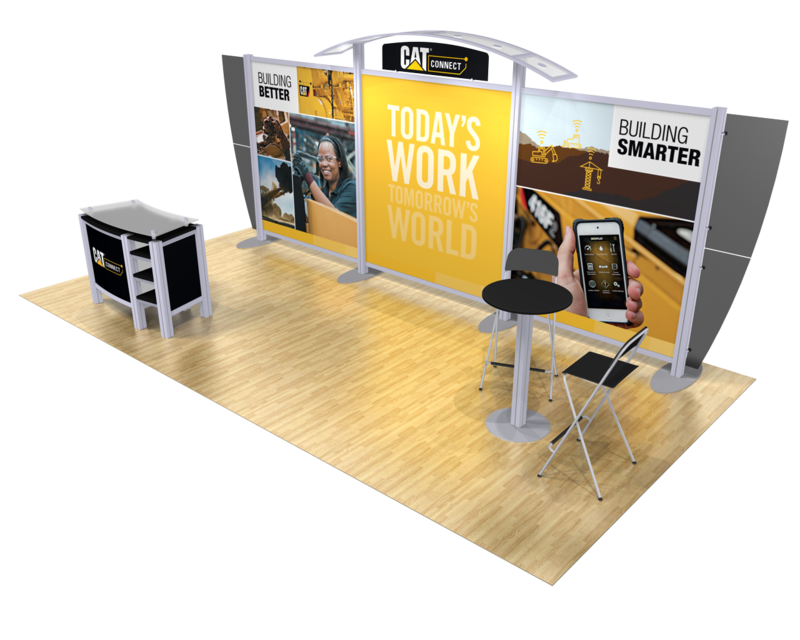 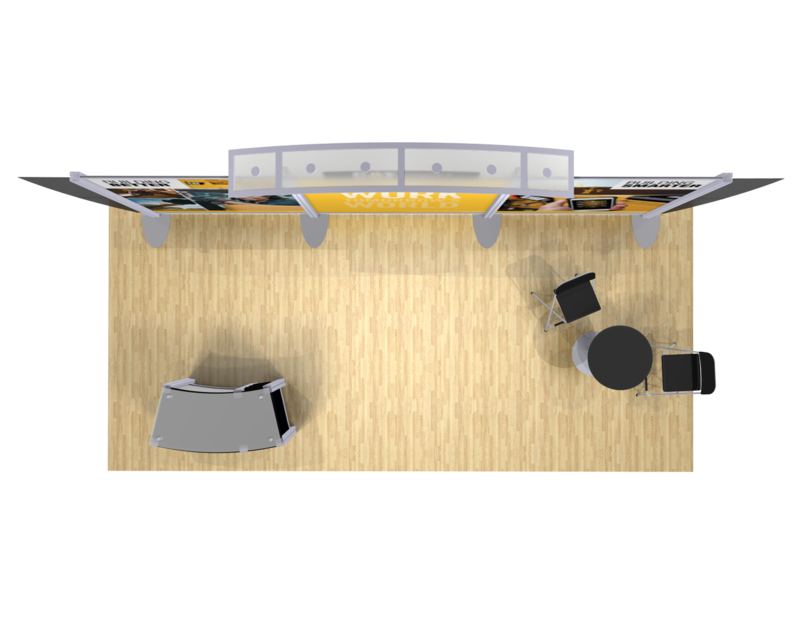 Three large graphic panels create a versatile booth with a center canopy highlighting the Header Graphic with cool LED down lighting. 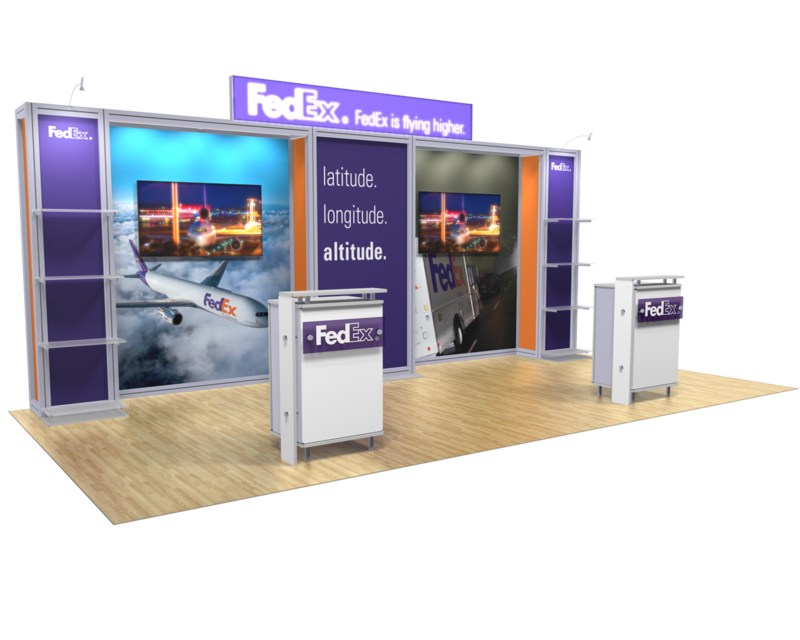 Reception counter with display and storage solutions have the high-end look and feel which elevates your overall impression.